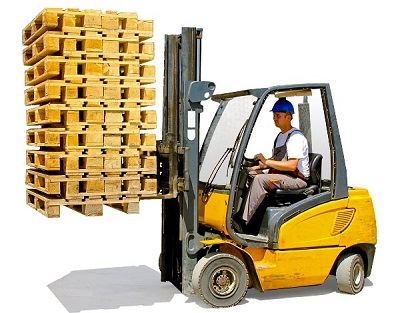 Pallets have become an almost universal way of handling deliveries, allowing for ease of loading and unloading and convenient mechanical handling. The transportation of many of today’s products would be much more complex and time-consuming if it weren’t for pallets. But if you’re shipping your goods to customers overseas, there are some rules you will need to abide by to ensure that you have the right type of pallet which complies with health and other regulations, and that your goods can therefore travel smoothly across borders without the risk of being held up unnecessarily by customs. When it comes to export pallets, there isn’t, unfortunately, a global standard. Whilst the Euro pallet is pretty much standard in Europe, other countries differ in their requirements. This means you need to do a bit of research to discover the size of pallet that will be acceptable in the destination country. The International Organization for Standardization (ISO) currently supports six different sizes of pallet around the world. Remember that this takes into account not just the physical dimensions of pallets but also how much they can carry – the safe working load (SWL). It’s not just size and weight that matter where export pallets are concerned. You also need to consider the restrictions imposed by the ISPM 15 regulations. These are regulations designed to protect local ecosystems from contamination by pests, parasites and fungi brought in from overseas. Pallets have to receive appropriate treatment and be stamped to show that it’s been done. In the case of wooden pallets, this usually means that they have to be heat-treated or fumigated using an approved methyl bromide pesticide. Heat treatment is most common method and usually involves treating in a kiln or using a microwave process. If your pallets haven’t been properly treated to comply with ISPM 15, there’s a risk your shipment could be quarantined at its destination. You may then end up paying to have the pallets treated or, worse still, have your shipment returned. A good alternative for export shipments is to use plastic pallets. Since these are not made of organic material and are easy to clean and sterilise, complying with ISPM 15v regulations is more straightforward. Shipments on plastic pallets are less likely to be delayed by customs procedures than those on wooden pallets are. Plastic has other advantages too. It’s tougher than wood, making it more resilient and less likely to suffer damage in transit. This also means the pallets can be reused many times. Plastic pallets are available in all of the popular sizes used for exports, so they can safely be used wherever in the world your goods are headed.